A perfect addition to your Nomination bracelet for Christmas is this beautiful heart and holly charm. The traditional holly leaf is a symbol of Christmas and the perfect charm for anyone who loves the festive season. 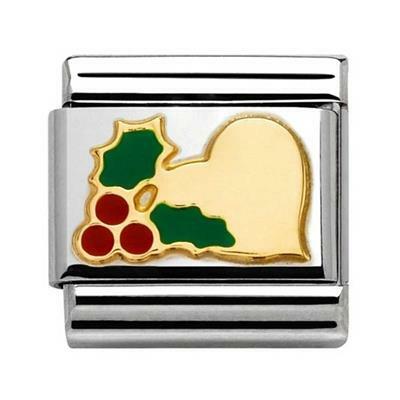 Made from Stainless Steel and decorated in Enamel and Gold this charm will fit any classic sized bracelet.